MISSISSAUGA, Ontario — After a rough couple of seasons, Lane Zardo hopes to get back to running up front, committing to Sauble Speedway’s Pro Late Model schedule in 2019. With hoping to turn their program around, Zardo says the key for 2019 is going to be having a good showing in each race they enter. Although the Sauble Speedway schedule may shorter than others across the province, the competition appears to be second-to-none with several notable other Pro Late Model drivers signing up. Outside of Sauble, it is difficult to say at this point whether you will see Zardo running the Pro Late Model anywhere else. 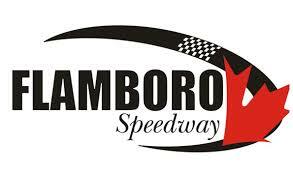 Zardo will be behind the wheel outside of Sauble Speedway, though, as his first race of the season will actually be behind the wheel of the No. 36 Ken Grubb super stock at Jukasa Motor Speedway. Zardo got the chance to compete in last year’s Short Track Canadian Nationals in the same car, scoring a ninth-place finish. “It was fun last year,” he commented. “I felt like we really had a competitive car, and then we put on a different set of tires and just stagger got all messed up so we didn’t get the finish I was hoping for. But every time that I hop into Kenny’s car, it’s such a great car and they just do things so simple, but it works for them. Every time I hop in their car, it’s like I never got out of it and it’s always so fun racing for them.